Anjan was the winner of the India Innovation Growth Program 2.0 in 2017 ( organised by the Govt of India, Lockheed Martin and Tata Trusts) and participated in the Hon Prime Ministers trip to Israel where Taraltec reactor technology for water disinfection was showcased at Tel Aviv in 2017 to the prime ministers of both Israel and India. Anjan has co-authored a seminal technical book and has one granted patent and four other pending patents. Our company is an an Indian startup that has invented and is commercialising the Taraltec™ water disinfection reactor, a solution to provide safe drinking water to hundreds of millions of people around the world. 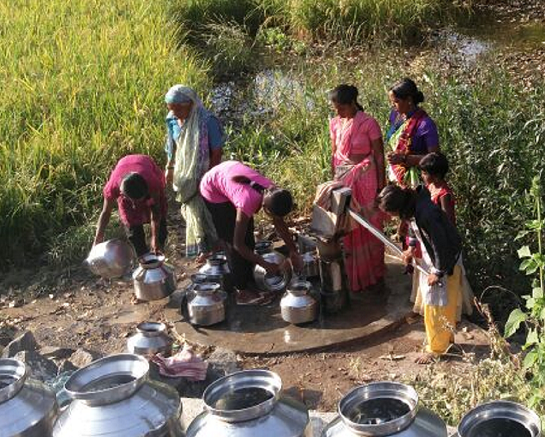 Our breakthrough, the Taraltec™ water disinfection reactor can be retrofitted into a hand pump– such as the India mark 2 model (the most widely used hand pump in the world), or even into any motorized bore well, and is a game changer in eliminating water borne diseases. With no need for any consumables, the Taraltec™ reactor is a maintenance free device for a lifetime of use, anywhere in the world. I just chanced upon this opportunity while doing something else with this technology. I consider myself really fortunate and blessed that an opportunity such as this has fallen in my lap where I can touch the life of millions of people worldwide! I was a student of Indian Institute of Technology, Bombay for two years before I dropped out to become a marine chief engineer on board merchant ship. This gave me hands-on experience of working on all types of machinery. I also have an MBA from the Indian Institute of Management, Bangalore. I suppose a combination of all the above gave me the requisite confidence to embark in the field I am presently in. I am totally self- taught in this technology. 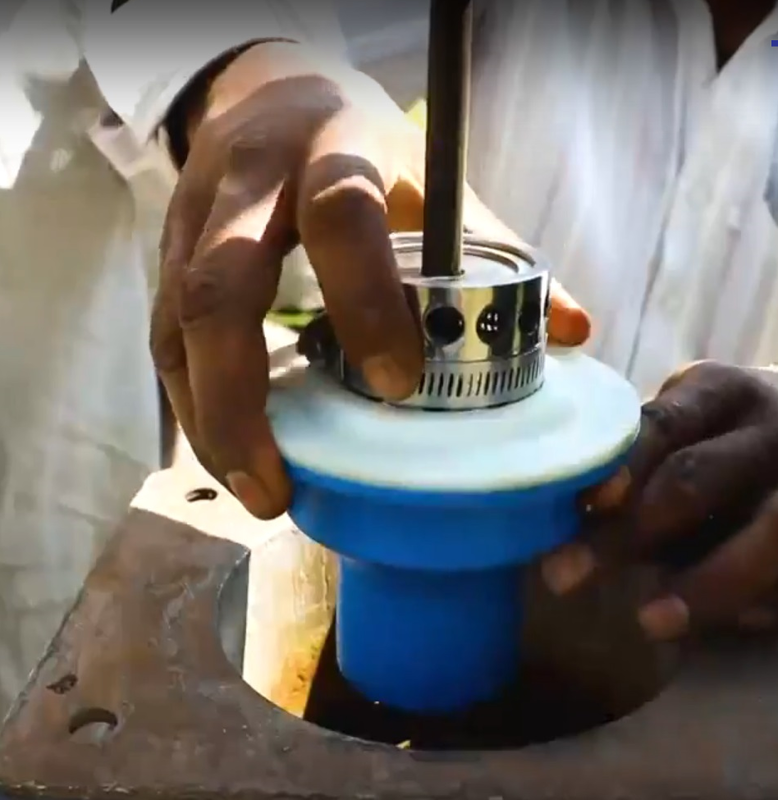 We were working with this technology when the idea struck that it could be integrated with the borewell handpump and that could probably alleviate one of the most pressing problems of rampant groundwater microbial contamination which leads to waterborne diseases. True success would be when our product is fitted widely on all handpumps and this results in substantially eliminating waterborne diseases. Any startup faces unexpected challenges ! As long as we take it in the right spirit that it would be all okay at the end, there is no issue. One must enjoy the journey rather than be too focussed on the end result or else its very easy to fall into depression. I totally enjoy my work and meeting people from diverse privileged/underprivileged backgrounds and get to peep into their lives. At times I wonder how did I get so lucky ! I am a struggling entrepreneur and giving tips to others would be too pompous. But as long as one does what he enjoys whether entrepreneurship or for that matter anything else, which does not harm others and is useful to society at large, I think its okay. Also make sure one marries well 😉…your spouse and your immediate family and friends are the real backbone of entrepreneurship and without that its quite impossible to do anything. I actually sleep well ! Whatever has to happen would happen whether I am awake or asleep….just work hard and leave rest to luck. Images are copyright © Taraltec Solutions Pvt. Ltd. All rights reserved.